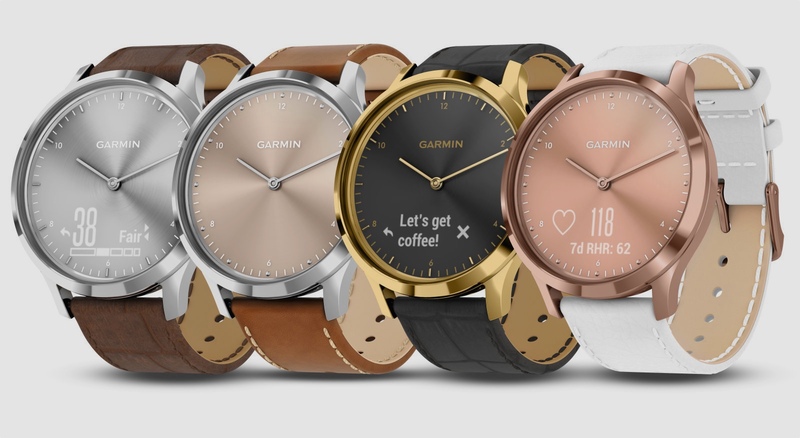 Garmin has released four new designs for its Vivomove HR hybrid smartwatch, which offers a serious shot of style to the mix. There are new silver, gold and rose gold face options – with a bunch of 20mm strap options as well. All the new models come with Italian leather straps, in black, brown, tan and white – so you should be able to find something that suits your look. There’s no extra functionality here – and you get the same mix of step and sleep tracking, 24/7 heart rate – and the watches can piggyback your phone’s GPS to track outdoor workouts if you wish. The Vivomove HR also offers smart notifications, via the discreet display hidden on the watch face itself. Garmin is making a big push into the stylish end of the market, as evidenced by the Garmin Marq – which offers a range of sport focused top-end devices, with Rolex-esque cases that retail from £1,349 per device. The new Vivomove HR models won’t cost that much, but they will retail at $350 each, which is a considerable premium on the basic version and in line with an Apple Watch Series 4.